'Fastest man alive' former Ram, Raider and Olympic Gold Metal winner Ron Brown and Rudy Negrete. the reality show that brings the unseen side of the industry that exists for the purpose of selling Freedom. Featuring the real life exploits of those selling and seeking freedom and understanding those who exist to provide the service. Album and Video release. Executive Producer of the highly anticipated J.STONE album debut. With singles featuring KURTIS BLOW, LORD G, and Garrett Douglas. Rudy Negrete brings all of his 30 years of entertainment manufacturing and pro sports knowledge and experience and combines it with his unique ability to create. 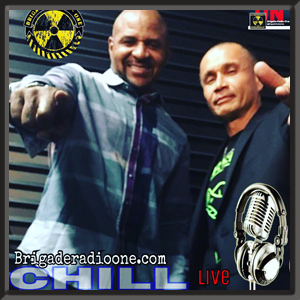 He is Co founder and CEO of UNION DA DANK, Executive Producer and co host for CHILL live. He is the creator and co writer for 3 shows and Executive producer for the Saint Stone recording project. He also is head of Marketing and promotions for the projects. He has worked in the Entertainment and Pro Sports Industries for over 20 years. Worked with such industry giants as the National Football League, Giant Warner Bros., FOX Sports, ABC sports. NBA, MLB, Disney and many others.